Remember little Wyatt? 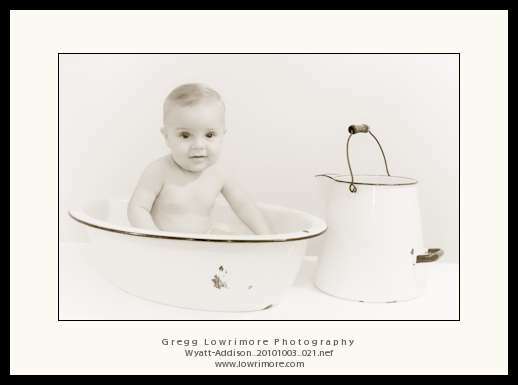 Well he and his mommy came back for new pictures last weekend. He’s growing up fast and was a joy to photograph again. Also, a friend gave me these cool looking wash basin and water storage containers, thought I’d try them out as studio props too. What do you think? Posted in Infants/Toddlers, Portraits and tagged boy, infant, toddlers, tub, wash basin, Wyatt James Sullivan by greggl with no comments yet.